Pink Mountain Treks and Expedition's Sikkim Darjeeling and Bhutan tour, witness the century old Buddhist monasteries, walk the mountain cliffs and hike the rice paddies stair-steps down the steep hillsides. Your journey begins with the arrival and transfer to Darjeeling where we include a ride on the narrow gauge mountain railways and witness the sunrise over Kanchenjunga from Tiger Hill.Explore India and Bhutan in one visit. 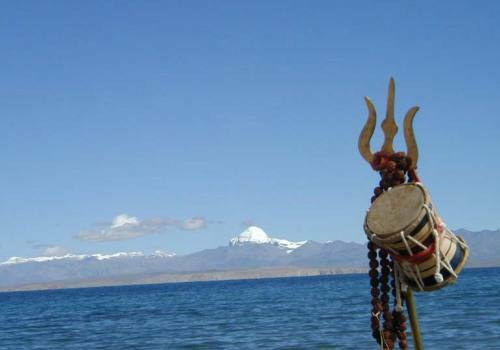 Visit both Buddhist areas of India: Sikkim, Darjeeling and also Bhutan by overland drive. 12 Days Sikkim, Darjeeling and Bhutan Tour. Darjeeling, Sikkim, Gangtok, Kalimpong, Phuntsholing, Thimphu, Punakha valley and Paro.You can choose any departure dates for our Bhutan and Nepal tour.We just have to make sure that it matches with Bhutan flight schedules.The trip can also be combined with India Taj Mahal or Sikkim Darjeeling or Tibet tour. Day 1Arrive in Bagdogra - Darjeeling, IndiaArrive by flight or train in Bagdogra airport or at NJP / Siliguri train station. Darjeeling - three hours drive. After high tea in the evening you can take a stroll around Chowrastha Mall and stay the night in a hotel. Day 2Sightseeing tour in DarjeelingVisit the Himalayan Mountaineering Institute, Padmaja Naidu Himalayan Zoological Park and Snow Leopard Breeding Centre. Walk down to Tibetan Self-help center. Drive back to the hotel for lunch. 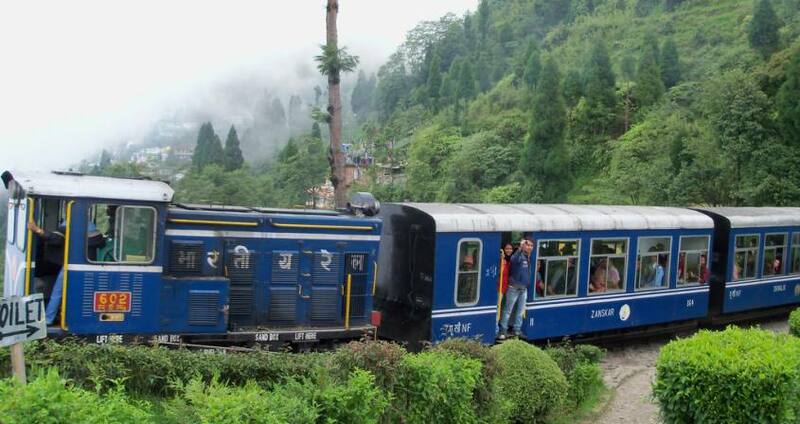 Take a joy-ride on a toy train to Ghoom. En-route stops at Batasia loop. Visit the sprawling Dali Monastery complex. Day 3Darjeeling - GangtokDrive through the tea gardens. Descend through sub-tropical Teesta valley. Continue towards Gangtok the capital of Sikkim which is a four hours drive. Visit the institute of Tibetology and Deorali Dodrup Chorten monastery. Day 4Gangtok SightseeingVisit the Enchey Monastery. Drive to View Points such as Tashi view and Ganesh Tok followed by a visit to a Flower Exhibition. Take a stroll on the promontory near the White Hall and Palace complex. Visit the Cottage Industries showrooms and workshops. Day 5Rumtek & KalimpongDrive for about one hour to Rumtek monastery on the opposite ridge of Gangtok. Continue to drive to Kalimpong for three hours. Visit Durpin Dara - view point with a brief look at the monastery nearby and also visit other Monasteries, Orchid /Flower nursery, Churches and homes of the colonial era, Dr. Grahams Home’s campus, Deolo Hill view points and the local bazaar. Day 6Kalimpong - Phuntsholing, BhutanDescend the Darjeeling hills and cross the Duars Plains with Tea Gardens into Phuntsholing, Bhutan which is located at the bottom of the foothills. Meet with our Bhutanese Guide and stroll around the town. Day 7Phuntsholing-Thimphu, BhutanDrive uphill to Thimphu after completing immigration formalities. Visit the Rinchending Monastery, other villages and towns along the way. Day 9Thimphu - PunakhaEarly drives across Dochula pass to Wangdiphodrang. Visit the town and view the fortress of Wangdue. Visit impressive Punakha Dzong at the confluence of two rivers. Day 10Punakha - Thimphu - ParoDrive across Dochula pass to Thimphu. Continue to drive to Paro which is a total of 4 ½ hour’s drive. Visit the National Museum, Rinphung Dzong and stroll around the town. Day 11Paro - Takstang Trek / HikeHike upto Takstang monastery. Continue further for sightseeing of the stunning valley located around the region. Visit the ruined Drugyal Dzong, Kichu temple and a local farm house. Stay in Paro for the night.